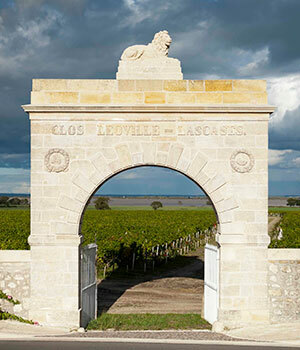 The enclosed vineyards of Leoville Las Cases are amongst the most picturesque in Bordeaux. It is the largest of the three Leoville properties (Poyferre and Barton being the other two) and arguably the finest estate in St.Julien. A second growth producing first growth quality wines, Michel Delon and, more recently, his son Jean-Hubert, have been producing remarkably consistent wines since 1975. Usually a blend of approximately 65% Cabernet Sauvignon, 19% Merlot, 13% Cabernet Franc and 3% Petit Verdot, the wines of Leoville Las Cases are large scaled and concentrated, requiring significant cellaring to achieve their full potential.